02 March 2018, 17:05 p.m. 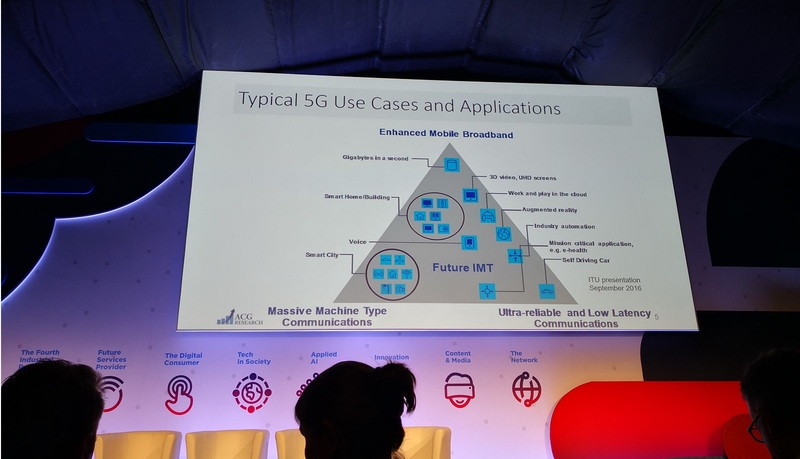 The industry has made bold promises about 5G and some have begun to question if they can be delivered. 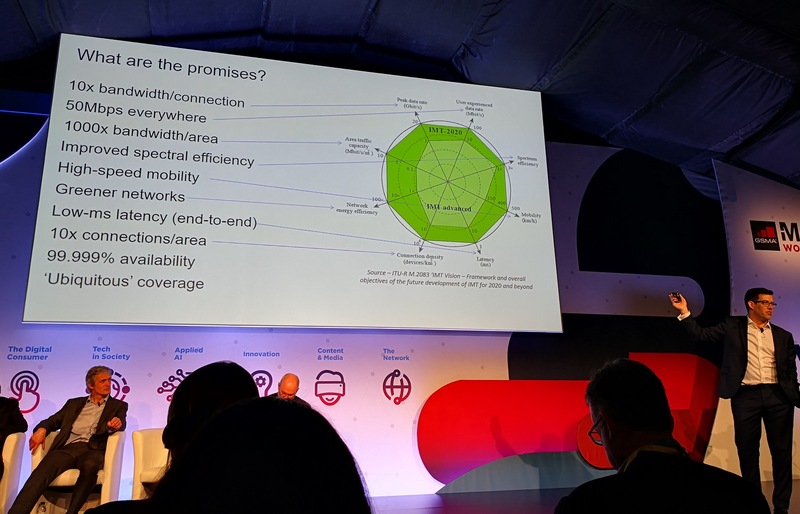 Chris Nicoll, Principal Analyst at ACG Research, also pitched this question during a session at MWC in Barcelona which featured speakers from Nokia, Samsung, Evolved Intelligence, and the 5GIC. 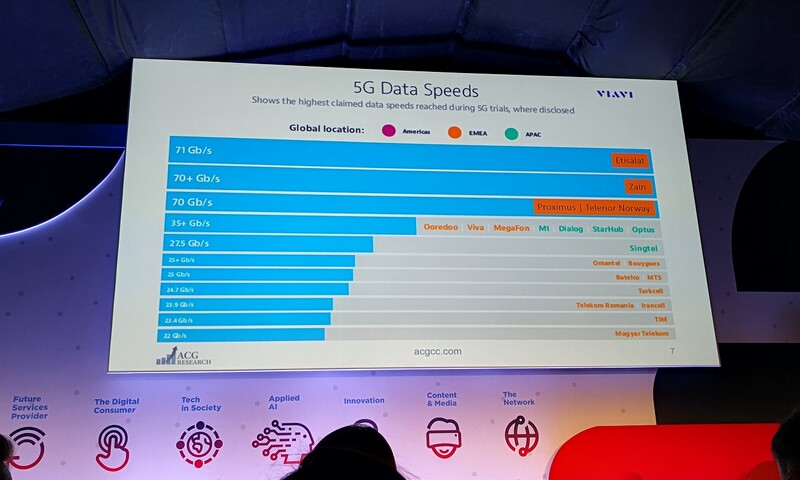 Many expect the U.S. and China to be leaders in 5G with their vast resources, large talent pools, and historic rivalry. However, groundbreaking developments have been happening around the world – often in less expected places. Samsung’s Head of Research, Dan Warren, is bullish on the industry being able to deliver on 5G’s promises. All of the promises can be mapped to what the ITU is going to assess, except the bottom two. IMT-Advanced is what was delivered with LTE, while IMT-2020 is obviously upcoming. One industry Warren says is organising itself is the automotive industry with associations such as the 5GAA. But even there, it’s incredibly complex. 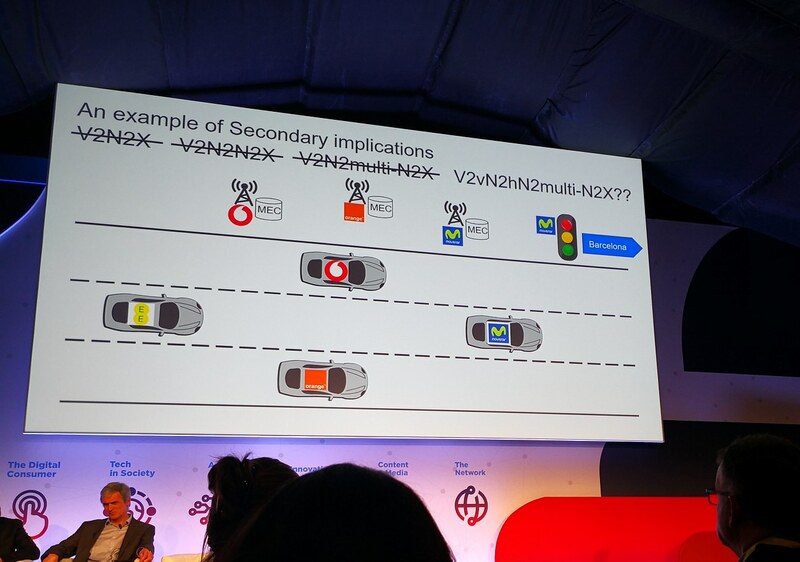 An example is given of a car connected to Vodafone using V2N (Vehicle-to-Network) and then 2X (to-Infrastructure) to connect to a traffic light. Except that traffic light is owned by a different operator, so it’s now using V2N2N2X. Then it comes across others on other networks, so now we’re doing V2N2multiN2X. By the end, it’s doing some V2vN2hN2multi-N2X combination that looks more at home on Einstein’s whiteboard. “It requires a complete new interconnect, a complete new roaming model, and it has massive commercial challenges,” concludes Warren. Next up to give his views is Stephen Buck, CEO of Evolved Intelligence, a provider of security and analytics services and solutions to the telecoms industry. Buck raises concern about security, and how it’s got worse with each passing generation of mobile technology. But, he says, it doesn’t have to be that way with 5G. 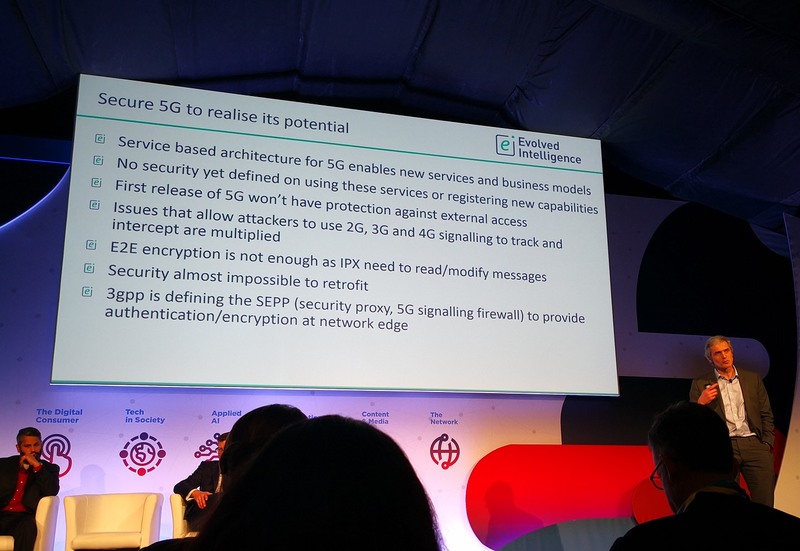 As per the slide above, Buck and his team have identified several issues with the first release of 5G that will not provide substantive protection against external intrusion and is ‘almost impossible’ to retrofit later. Furthermore, existing problems with previous mobile technology generations that enable things such as tracking and intercepting are multiplied. 5G will be used for some groundbreaking new things, and it’s even being talked about for performing remote surgeries. Nobody is going to put their lives on the line using a technology which can easily be hacked into. Buck discusses the service-based architecture of 5G and how it’s opening up more seamless and intuitive experiences. On a recent trip to Indonesia, he ended up on the phone with his bank explaining where he was because it was flagged as potential fraud. With 5G, his bank could see he was in the country and the withdrawal was legitimate. The aforementioned example is where the exposed network functions are used for good, but it could also be used maliciously. Tracking, intercepting calls… all of these things are being protected against in 2G, 3G, and 4G. However, in 5G it’s not yet protected against. The 3GPP are currently working on security in 5G with SEPP, but it’s yet to be defined. For the next release of 5G, it needs to be implemented. Henri Tervonen, CTO of Nokia, discusses how AI is needed to enable more intelligent 5G networks. Moreover, the network needs to be powerful – in terms of compute capacity. All the real-time decisions on selecting which flows to schedule, how to do beamforming in the radio, how to schedule the users… all that needs to be done super fast in a network that’s now 100x more complex. The only way to do it is through machine learning and AI capabilities, argues Tervonen. The final speaker is Stuart Revell, Managing Director of RTACS Ltd, who is currently working with the 5GIC University of Surrey on the definition, external engagement, and adoption of 5G and IoT-based technologies and architectures. He also believes we can deliver on 5G promises but agrees there are still a huge amount of challenges to be addressed. Part of Revell’s work involves the 5GUK testbeds at King’s College London and the universities of Surrey and Bristol. Revell makes reference to Warren’s earlier example of a car requiring to make a complex number of transactions, and the need to reduce that complexity. This could be solved by creating a data marketplace to satisfy those needs, where the similarities to IoT principles come into play. Do you think 5G will be able to deliver on its promises? Let us know in the comments.